DUBAI, 18 November 2014 (IRIN) - The United Arab Emirates (UAE) has sparked anger and confusion by including several prominent Western Muslim charities and civil society groups in a new list of "terrorist organizations" together with Al Qaeda, Boko Haram and the so-called Islamic State. Islamic Relief, a respected UK-based international aid agency; the Council on American-Islamic Relations (CAIR), the largest Muslim civil rights and advocacy organization in the US; and the Muslim Association of Britain are among some of the international associations and foundations included on the list which is dominated by groups linked to the Muslim Brotherhood but also includes a number of Shia Muslim movements. Representatives from the British groups have told IRIN of their shock at being named on the list and some say they are considering legal action. The governments of Norway and the UK also confirmed they are seeking official clarifications from the UAE. It is not clear whether anyone associated with the named groups would be arrested if they were to travel through the UAE, a popular global air transit hub, especially for aid workers working in the Middle East and Afghanistan. And likewise it is unclear whether UAE residents who provide financial or other support to the organizations - or even maintain contact with them - could be breaking the law or not. No-one from the Emirati government was able to comment to IRIN on the list, and as of 17 November no information had been made public about criteria for inclusion on the list or what evidence the UAE authorities had to suspect or determine these alleged terrorist links. In some cases there is even confusion about exactly which organizations have been named. "Islamic Relief is a purely humanitarian organization. We abhor terrorism in all its forms, and we categorically refute any allegation of links to terrorism and any such accusations that have been made by the UAE," said Martin Cottingham, spokesman for the charity, which partners with the UN and is a member of the UK's Disasters Emergency Committee (DEC) grouping. "We assume that our inclusion on the UAE list can only be attributable to a mistake. We do not have a presence or any programmes in the UAE. Islamic Relief Worldwide will be seeking clarification from the UAE Embassy on this matter, with a view to having this wrongful listing removed." he added. A spokesman for the UK's Department for International Development (DFID), which in 2013 gave GB£3.2million (US$5million) to Islamic Relief, told IRIN: "All of our funding to UK charities is subject to strict controls to ensure it is used only as intended. "The UK is seeking further clarity from the Emiratis on their rationale for some of these designations, and any practical implications," he added. Omer El-Hamdoon, president of the Muslim Association of Britain (MAB), a community-focused advocacy organization, also hit out. "It is an outrage that we have been named on this list," he told IRIN. "Our organization works hard to counter extremism. we condemn all acts of terror. and we work from the grassroots up to promote a moderate understanding of Islam." "We will be contacting both the UAE authorities for clarification as well as our lawyers to explore our legal options," he added. There has been some confusion over the translation of the names on the list, which appeared differently in Arabic and English. In one translation shared by the UAE state news agency, MAB was referred to in English as the Islamic Association in Britain. Geneva-based rights group Al Karama Foundation, which in the past has been highly critical of the UAE, is unsure whether the "Al Karama Association" named on the list means its organization, or another one with a similar name. Media coordinator Colombe Vergès said: "For now, and until we have been formally notified by the [UAE], we do not feel concerned about this grotesque listing." The UAE is not the first country to accuse aid and civil society groups of having terror links. Tough post 9/11 counter-terror legislation in a number of countries, especially the UK and the US, has put a new spotlight on many faith-based Muslim organizations. Britain's Charity Commission is currently investigating four British groups over their aid work in Syria, IRIN has learned. 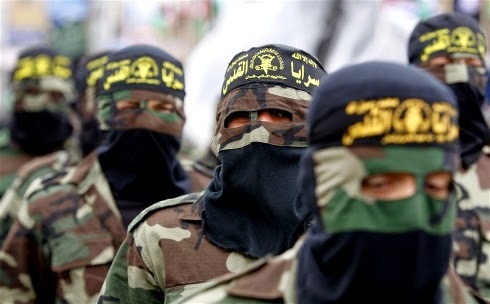 Islamic Relief, which has over 100 global branches and delivers aid in partnership with the UN agencies such as the UN Children's Fund (UNICEF), the World Food Programme (WFP), and the UN Refugee Agency (UNHCR), has also faced accusations of association with the Palestinian militant group Hamas, which has links to the Muslim Brotherhood. Islamic Relief has repeatedly denied the claims. "Every government has a right to investigate an organization if they suspect it has terrorist links, but there needs to be a clear and transparent process," said Wendy Fenton, coordinator of the Humanitarian Practice Network (HPN) hosted by the Humanitarian Policy Group (HPG) at the Overseas Development Institute (ODI), which earlier this month published a paper called Counter-Terrorism Laws and Regulations - What Aid Agencies Need to Know. "We need some transparency. What is their evidence for calling someone like Islamic Relief, which runs UK-government-funded programmes, a terror organization?" echoed Chris Doyle, director of the Council for Arab-British understanding (CAABU). He said it was interesting that the UAE had followed Saudi Arabia's lead to publish a list of terrorist organizations. "What we can see is that the UAE is really trying to position itself in the vanguard of combating terror, to be seen as a country that is taking a tough line, while the US is regarded by many in the region to weak or vacillating," he explained. In September the UAE joined Saudi Arabia, Jordan, Bahrain and Qatar to support the US-led bombing campaign targeting the so-called Islamic State in Syria. It has also started a bombing campaign in Libya against Islamic militants. Fenton declined to speculate on the reasons for the inclusion of a charity like Islamic Relief on the list, or the impact that would have, but said that terrorism allegations - even if later proven inaccurate - were a hard stain to shift. "Once a group has been included on one of these lists, whether they are later removed or not, the negative label tends to stick and it can be very difficult to get rid of the stigma associated with that," she explained. "It can undermine donor confidence and an organization's credibility and it can affect that group's ability to operate and what sort of funding it can attract." Although it was only released late on 15 November, the UAE's list was drafted in August, when the government also announced it had beefed up its anti-terror legislation. The revised law defines a terrorist offence as "any action or inaction made a crime by this law and every action or inaction made a crime by any other law if they are carried out for a terrorist cause". Its penalties include fines of up to US$27million, life imprisonment and capital punishment. Rights groups like Amnesty International have been highly critical of the UAE for imposing terror charges on political activists but the government strongly defends its get-tough approach. Despite the controversy overseas about this list, its publication has been warmly praised by domestic commentators and national newspaper editorials.